This picture was taken on Sunday 5/12/2013 (Mother's Day) at the Stonewall Memory Gardens cemetery in Manassas, VA, on the columbarium closest to Rte. 29. 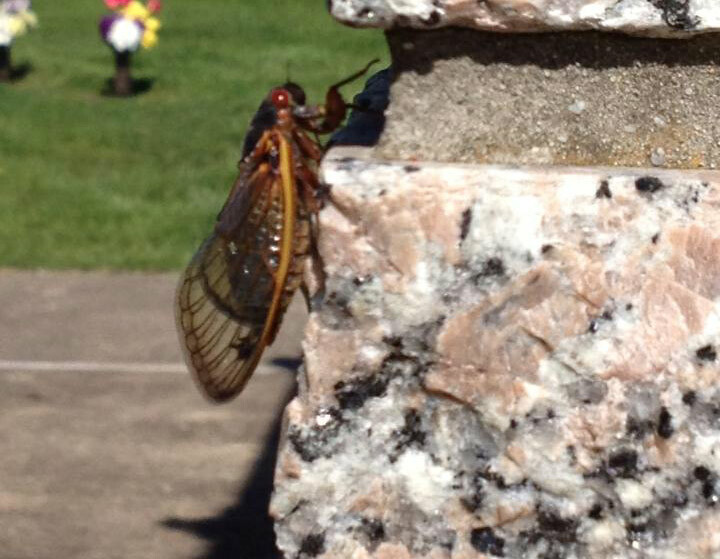 I did not see or hear any other cicadas. Hi and thanks for the report. I'm not quite sure if Manassas, Va is part of Brood II's distribution but I did do research on the city and found that it is combined with Prince William County for statistical purposes (See Wikipedia). Historic records indicate that Brood II was found in Prince Williams County in 1962 so anything's possible.